Shares in FastJet, dubbed the Easyjet of Africa, rocketed today after it outlined plans to secure emergency funding after warning earlier this week that the firm is at risk of going under. Shares in the carrier, which trades on London’s junior stock exchange and offers budget flights across a number of African countries, soared 150 per cent to 8.13p after it said it would secure $12m (£9.1m) of emergency funding. At just over 3p overnight, the stock was worth a fifth of the price at which it opened the week before the firm sounded the alarm bells on Wednesday. FastJet will launch a share sale to raise £5.4m, while its biggest shareholder Solenta Aviation will pump £2.3m into the group. In addition, the company wants to raise up to £1.6m by way of an open offer. The firm said the fresh funds will provide it with ‘sufficient working capital for the remainder of 2018’, having warned on Wednesday that it had burned through more than half its remaining cash in a month, leaving it with a balance of just £2.5m. Half the money will be allocated to support its Zimbabwe and Mozambique operations and to pay off loans. Separately, FastJet confirmed a dismal year with bruising annual losses. Revenues fell 33 per cent to £35.3m in 2017, while the firm booked an operating loss of £19.3m. 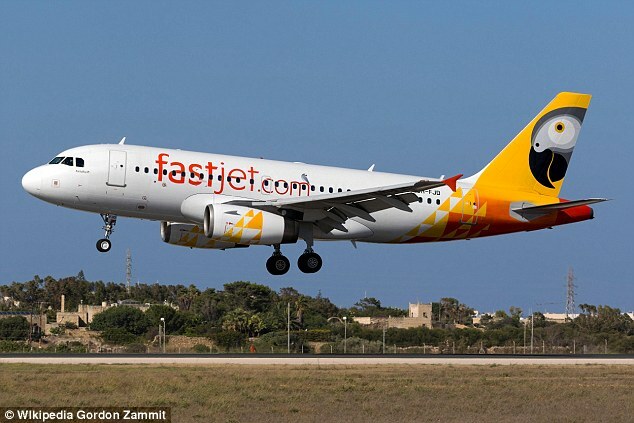 Over the past two years FastJet, founded by Easyjet’s Sir Stelios Haji-loannou, has been reducing costs as part of a stabilisation plan. The chief executive of Solenta, Mark Hurst, will join FastJet’s board as of next week.